Similarly, in Mahayana Buddhism, we might be happy with our daily meditation on Shakyamuni Buddha, or your personal Yidam (meditational deity) — our metaphorical family doctor, attending to our spiritual health. 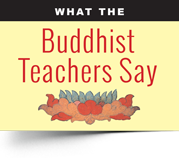 In times of special need, we might turn to visualized “labeled” aspects of Buddha. Ultimately, all aspects of the Enlightened Buddha — various “labeled” deities — are one, but it can be helpful to reinforce specialized meditation goals with a focus on a particular aspect, such as Medicine Buddha for healing meditations. Medicine Buddha practice is very effective and profound, but, if we receive that dreaded diagnosis from our doctor, we might think of “the specialists” — Enlightened aspects of Buddha that focus specifically on our problem. NOTE: Healing meditation is NOT a replacement or alternative to traditional medical healing. These healing meditations use the power of the mind to heal and should be considered as supportive but effective. Aggressive and assertive diseases such as cancer call for aggressive and assertive meditational deity aspects for our healing meditations. For cancer, Aids, heart disease and virulent viruses the most often recommended “specialist” is Black Manjushri. 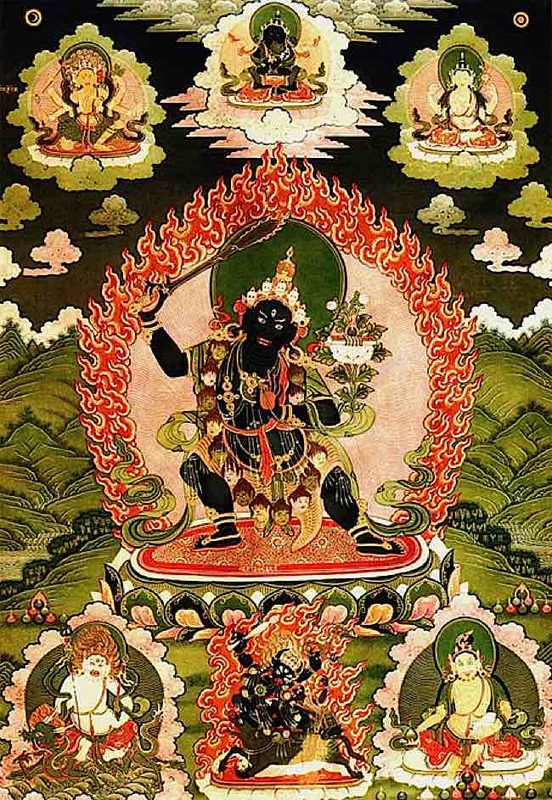 Black Manjushri practice is one of the famous Golden Dharmas of the Sakya tradition, and is widely practiced by Gelug practitioners and others under the direction of their teachers. 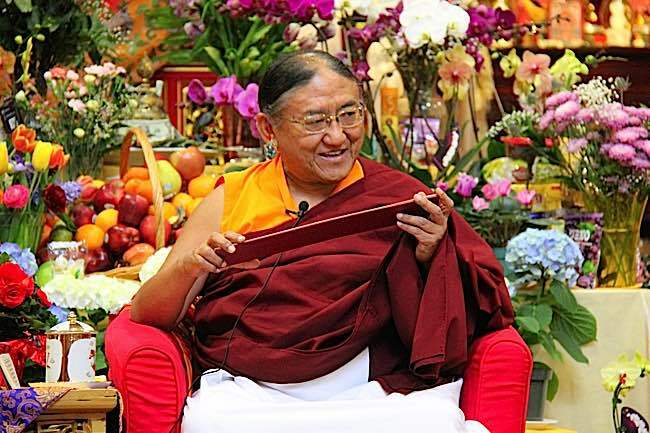 His Holiness the Sakya Trizin often offers initiation in Black Manjushri. 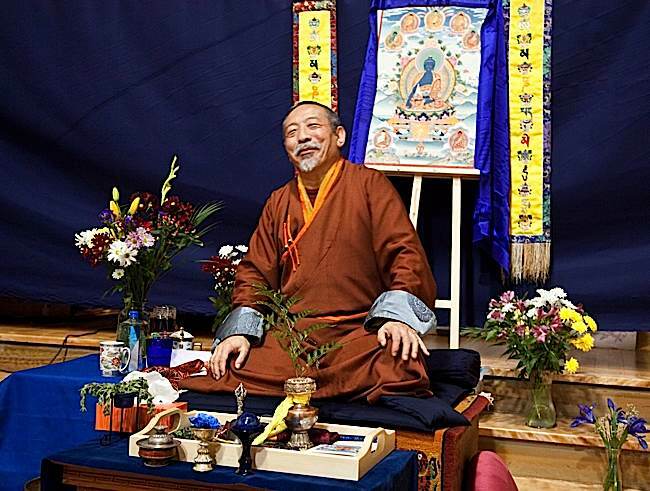 Zasep Tulku Rinpoche teaching at Gaden Choling on Ngondro, spoke at length about the healing benefits of Black Manjushri and Medicine Buddha. 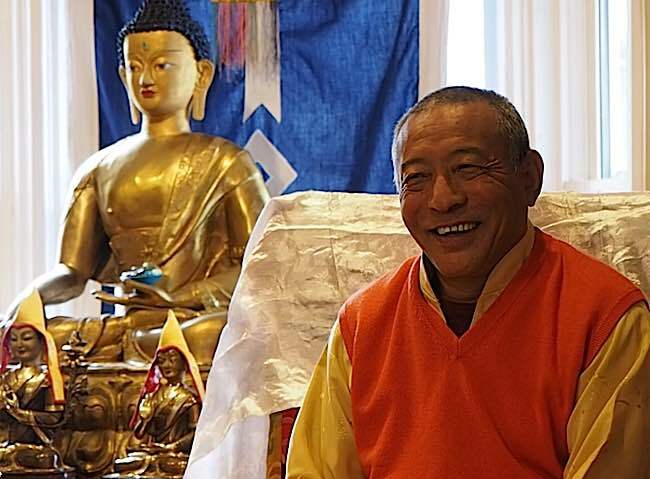 “Black Manjushri practice, Medicine Buddha practice, Hayagriva practice, all of those are beneficial for healing,” said Zasep Tulku Rinpoche when asked about Black Manjushri practice in a recent teaching on Ngondro at Gaden Choling Toronto. Many students and teachers turn to the peaceful form of Black Manjushri as healing meditational deitiy for aggressive diseases such as Cancer and Aids. For instance, in Mahayana Buddhism, the specialist emanations of Buddha in “protection” could be Tara, while “wisdom” is attributed to Majushri, “compassion” to Avaolokiteshvara (Guanyin), and “healing” to Bhaisajyaguru, the Medicine Buddha. All of these are ultimately aspects of the Enlightened, of Buddha. 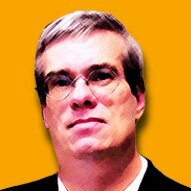 Meditating on Buddha can be healing generally. 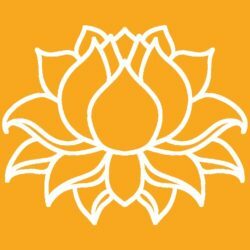 Meditating on the “specialist” aspect can help signal to our minds that we seek specialized healing for cancer, or some other “life threatening disease.” Such labels are not necessary; you could just turn to Buddha (without labels) for healing. But the increased focus, the precision of visualization on healing, specialized mediations, and working with specialized “deities” can be profoundly effective. 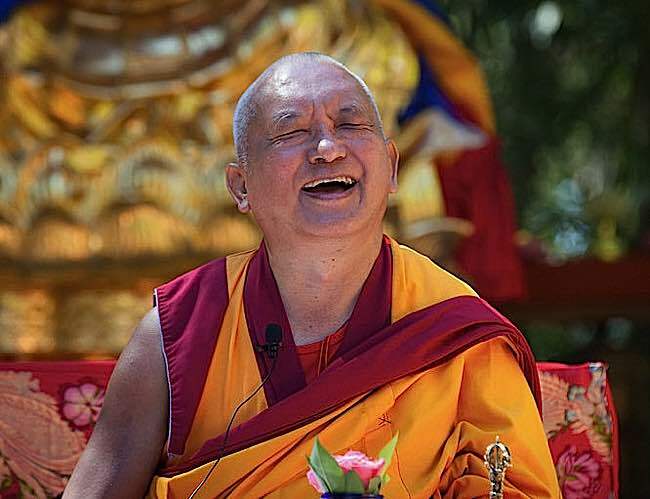 Lama Zopa Rinpoche: the power of a laugh to heal. The power of the mind to heal. The power of the mind to heal is well accepted by Western medicine. Practitioners of Traditional Chinese Medicine and Tibetan Medicine nearly always strongly supplement therapies with mind-therapies and meditation. Lama Zopa explains that positive thinking and meditation are generally helpful, and he also mapped out practices more targeted at handling serious diseases, including strong emphasis on Black Manjushri or Black Garuda practices. 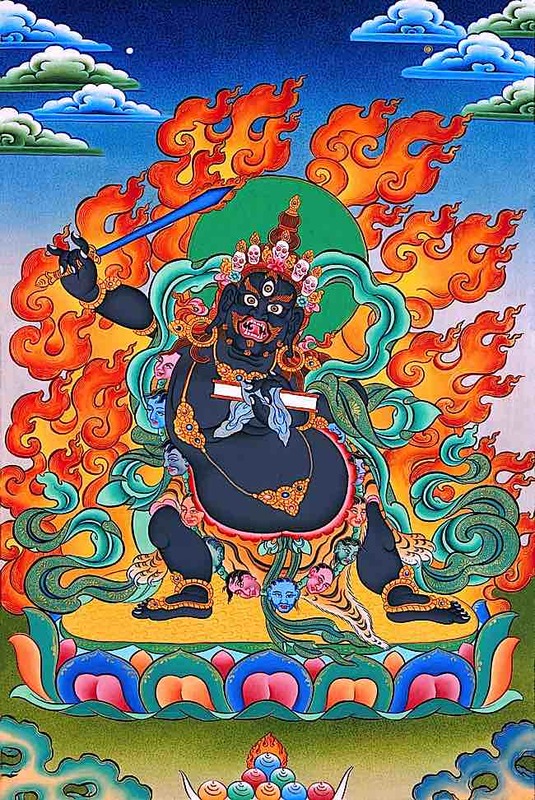 Wrathful form of Black Manjushri. Although any meditational deity is helpful in focusing the mind on healing the body, Black Manjushri is effective, according to students and teachers, for aggressive diseases such as Cancer. 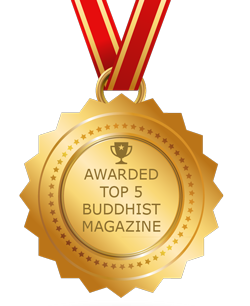 In terms of health practices, many Mahayana Buddhists would turn to Medicine Buddha — the general practitioner. For aggressive healing of life-threatening diseases, many experienced meditators turn to Black Manjushri for a more “assertive” meditation that goes right to the heart of visualized healing. For dangerous diseases, life-threatening illnesses, maladies or obstacles, Black Manjushri is one of the most powerful practices. 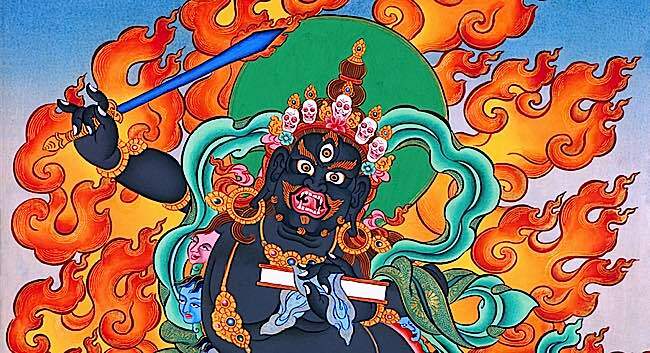 Manjushri, normally a peaceful Buddha of Wisdom, takes on the fiercer aspect of Black Manjushri — a signal to our minds that we are taking aggressive action against the invader. It is well established that mind certainly has powerful healing influences over the body it inhabits. Black Manjushri meditation assertively focuses our minds on the organisms or obstacles that attack our bodies. For instance, you might think of the Buddha, Shakyamuni Buddha, as the family doctor. The analogy of “doctor” is often used in Mahayana practice when referring to the three jewels: Buddha (doctor), Dharma (medicine), and Sangha (nurses and support). Some of us meditate on the beautiful Medicine Buddha as our meditation object analogous with the “family doctor.” Others might think of White Tara, and engage in “long life” meditations. Lapis Lazuli Medicine Buddha, is a beloved healing Buddha. Bhaisajyaguru made 12 vows when he was still a Bodhisattva. Simply calling his name brings healing. If Shakyamuni or Medicine Buddha or White Tara are your family doctor, Black Manjushri would be your skilled specialist, the metaphorical cardiac, cancer or Aids specialist. 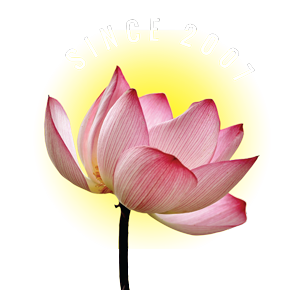 His practice helps the meditator agressively focus the healing power of the mind on these dangerous conditions. For serious ailments, requiring “assertive” forms of meditation, Black Manjushri is the meditation frequently recommended by many Buddhist teachers. 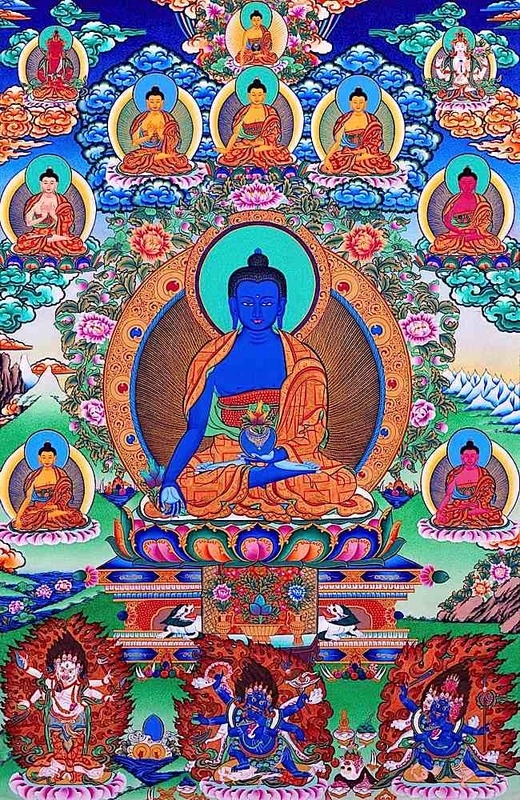 Since it typically requires training from a teaching and initiation, it might be best to meditate on healing with Medicine Buddha of your Yidam, while seeking out instruction of a qualified teacher. From a two day retreat on April 2-3, 2016 on Ngondro Foundation practices, with teacher Zasep Tulku Rinpoche at Gaden Choling Toronto. Zasep Rinpoche in the above advice video recommended visualizing Black Manjushri in front of you or over your head. You can visualize “light or nectar” flowing into your body, flame like lights that burn up all our negative karma, obstacles, illnesses, interferences. The longer you chant, the more “altered state” you will achieve, which will hopefully intensify the visualization.